At this time, we can't criticize leadership. For goodness sake, Donald Trump is President-elect, and is planning all kinds of bad stuff. No, at this time, we can't be indulging in what Randi Weingarten and Leo Casey call a "circular firing squad." This is no time to be assigning blame. Now is the time for all good unionists to come together and do whatever the hell we are told. Because in a democratic union, everyone must learn the vital skill of sitting down, shutting up, and swallowing the Unity party line. In fact, UFT's "Team High School,"which includes absolutely no elected representation from high schools, is offering important courses taught by patronage employees who certainly know all the ins and outs of these important rules. I know this because I go to the DA and other patronage employees hand me flyers to distribute. Because when we're facing an enemy like Donald Trump, Who Shall Not Be Named, it's time for us to all stand together. We need to give up all those petty partisan battles and simply do whatever it is that leadership says. In these times, we cannot afford to show disunity. We need to get together and contribute to COPE, because if we don't, patronage employees like this one would have to scrap by on a miserable teacher salary. How can we expect her to do such a thing? It's kind of like another time, when we were heavily involved in the Presidential election. Then it was time we all stood together, because we needed to elect Hillary Clinton President. 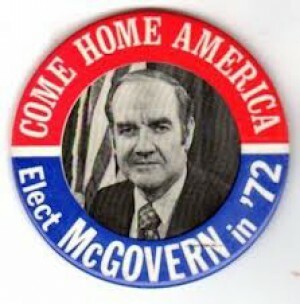 Those of us who supported Bernie Sanders needed to come to our senses, because everyone remembered what happened when we ran McGovern in 1972. That was a Big Mistake, getting behind someone who opposed the Vietnam War. We learned from that mistakes and made sure to not get behind someone who wanted universal health care, a living wage, a college for all. Too bad no one noticed it wasn't 1972 anymore, but this is no time to criticize leadership. In any case, when Hillary won the primary, it was time to give up all that divisive nonsense, jump on the bandwagon, and make phone calls. This was a time for us to stand together. After all, the AFT had done a scientific survey that said we liked Hillary better than Bernie anyway. Sure we never saw the survey, we never had a vote in it, we never had a vote in AFT, and we never knew who was surveyed, but it was best we stood together. Before that, we faced Governor Cuomo, who was our sworn enemy. Of course we hadn't opposed him in the Working Families Primary, and we hadn't opposed him in the Democratic Primary. In fact, we didn't even oppose him in the general election. Nonetheless, when we face an enemy like that we need to stand together as one. We can't be bickering amongst ourselves. After all, he was going to pass an APPR law based on junk science. Of course UFT President Michael Mulgrew took part in writing it, so we stood together and supported it. And then when Cuomo said the law wasn't strong enough, we needed to stand together in opposition. Except it turned out that, when it got passed anyway, Michael Mulgrew, for reasons that have always eluded me, thanked the Assembly for doing so. Of course, at that time, we had to come together and not criticize leadership.We can't afford disunity at times like these. And before Cuomo, there was Bloomberg, who was very bad. We had to stand together against him, because with an adversary like that, we had to stand together with leadership. After we endorsed a number of Democratic primary candidates, Bloomberg won. We failed to oppose him when he ran again, and we failed to oppose him when he defied the twice-voiced will of the people for term limits. But we were under assault and this was no time to speak against union leadership. And then there was Giuliani, who said teachers "stink" and didn't want to give teachers raises. I wasn't really active in union matters back then, but I assume that was also a bad time to criticize union leadership. The only problem is, really, that union leadership locks itself up at 52 Broadway, hears nothing but the voices of loyalty oath signers, and sends them out to represent us no matter how outlandishly unqualified they may be. Is it any wonder we find ourselves on the losing end of so many crucial elections? Trump---I'M Not Wrong. YOU'RE Wrong! Who to Blame for the Miserable Pattern Bargain?